Sandwiched between Gabon and Cameroon, Equatorial Guinea is split into a mainland region and islandic region, consisting of five small islands. Home to over 845,000 people, the country is renowned for its silky beaches, dense rainforests, volcanic peaks and Spanish heritage. Popular attractions include Moca Valley and Monte Alén National Park, just west of Bata. 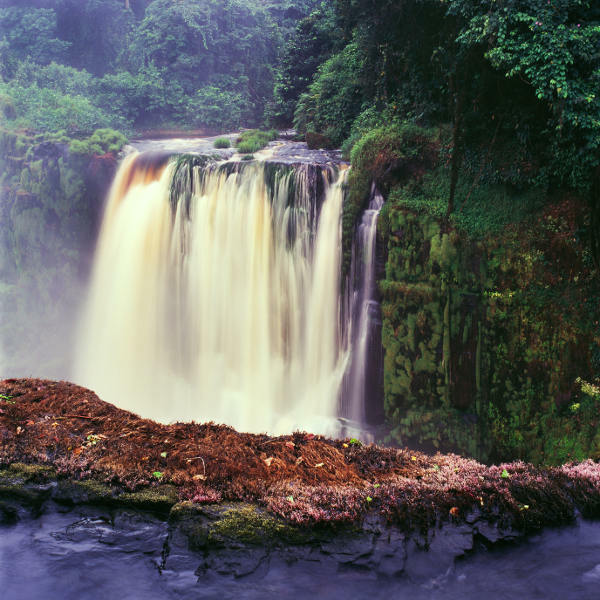 Get ready for intrepid adventures because cheap flights to Equatorial Guinea are now available! The country’s hub airport is Malabo International Airport (SSG), located on a 10-minute drive from Malabo’s city centre. Malabo International Airport serves a multitude of airlines, including Lufthansa and Ethiopian Airlines. Popular connecting flights to Malabo are available from Johannesburg and Cape Town. Flight duration from Johannesburg is approximately 12 hours and 50 minutes. Set out to explore the luscious jungles, harbouring plunging waterfalls, crystal lakes and a variety of wildlife. The volcanic peak of Monte Basilé offers panoramic views of Bioko Island, while the national parks are equally fascinating. The old ruins on Corisco coupled with the salt-washed facades of Spanish architecture lends to the history of this pre-colonised nation. Old tribal villages give way to urbanisation, but the West African charm is prevalent in the people and culture. Laze along the pearly-white sands of Arena Blanca, Lube and the palm-fringed beaches of Corisco Island. Set sail in a handmade pirogue and explore the surrounding islands of Bioko, Annobón and Corisco where some incredible scuba diving awaits. Much like its name suggests, Equatorial Guinea experiences an equatorial (tropical) climate with high temperatures and frequent, heavy rainfall. There are slight regional differences – the island regions of Annobón and Bioko see cooler temperatures of around 25°C due to sea currents. The mainland generally experiences high levels of humidity and heavy rainfall, with the rainy season occurring between April and October. The ideal time to visit Equatorial Guinea is during the dry season from November to March, where minimal showers won’t hinder your outdoor excursions and the golden beaches are a beach bum’s paradise! Experience the country’s culture and heritage through its vibrant festivals held throughout the year. Some key events include Armed Forces Day (August), SOMAGEC Music Day Festival (July) and the Malabo Hip Hop Festival (December), gathering performers from around Africa and Europe in a 10-day workshop event. With its lazy town charm, white-washed beaches, lush jungles and crumbling facades of Spanish architecture, Equatorial Guinea is an explorer’s treasure chest. City life is found in the country’s capital, Malabo, at the northern tip of Bioko Island. Peruse the salt-sprayed colonial buildings, plazas and bustling marketplaces. The neo-Gothic Cathedral of Santa Isabel is the largest Christian church in the country and is worth visiting. From there, stroll through the local eateries and cafés cascading down towards the sparkling Atlantic Ocean. The island’s nature reserves are home to many species of monkeys, birds and frogs. The powdery-white beaches of Arena Blanca and Luba are wonderful to lounge on or take walks along. Pico Basilé is the country’s tallest mountain, peaking at over 3,000 metres. The highest of three volcanoes, on a clear day you can see its volcanic neighbour, Mt. Cameroon from across the sea. South of the Bioko Island lies Moca Valley, where adventurous travellers can get in touch with the country’s wild side. Hike up to cascading waterfalls and pristine lakes as you take in the wonderful scenery. 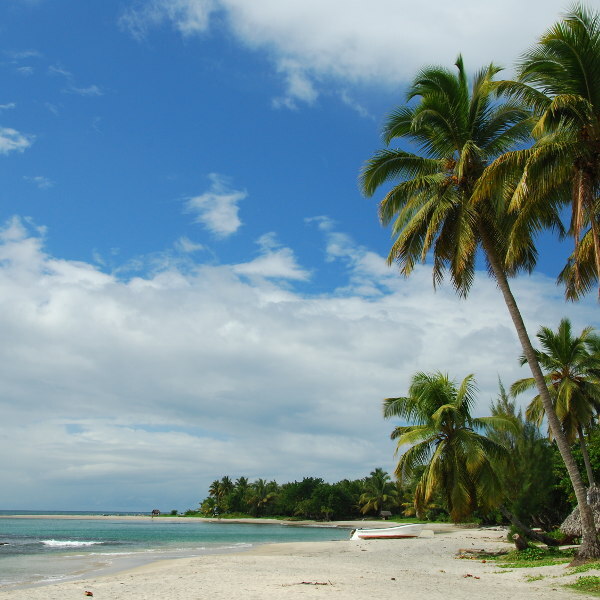 The village of Ureca is home to white-sand beaches, turtle nesting and the Rio Eola waterfalls. The largest city is Bata, stretching along the Rio Muni coast with its laidback atmosphere, lively markets, picturesque waterfront and vibrant nightlife. Delve into delicious seafood, peanut butter chicken and the local sugar cane brew, malamba. Monte Alén National Park is an oasis of natural splendour, with day trekking and customised safaris on offer, where chimpanzees and elephants romp around the dense forests. Historians should sail out to Corisco Island where you can explore the ruins of early human settlement and the decaying 18th-century Spanish missions. The secluded island of Annobón is worth the trip where you’ll find cosy beach bars, exotic birdlife and humpback whales! 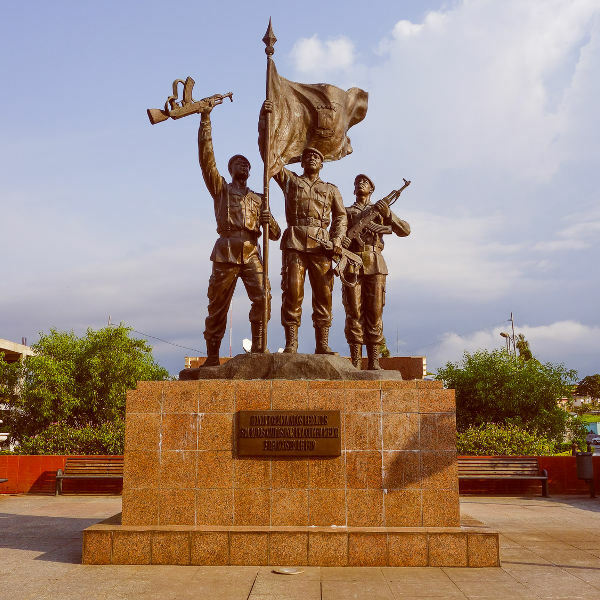 Compare several airlines, and book your cheap flights to Equatorial Guinea online at Travelstart! South Africans entering Equatorial Guinea do require a visa. Ensure your passport will remain valid for at least six months after intended duration of stay. Leave at least three passport pages blank for entry stamps. Travelling around Equatorial Guinea is generally a hassle-free and safe experience, so long as you abide by the local customs and exercise common sense. Petty theft is common, so avoid dressing lavishly and carrying around flashy equipment; in other words, blend in and you’ll be just fine. Avoid walking around Malabo and Bata at night. Always carry some form of identification because chances are good you will be subjected to random checks by military personnel. Military checkpoints are common outside of Malabo and Bata. As many of the police officials do not speak English, it would be wise to have a written explanation of the purpose of your stay and itinerary in Spanish. If you think you are a victim of bribery, ask for a written ticket with an explanation of your offenses. If you plan on venturing off the beaten track, the rural areas have unpaved roads and, with heavy rainfall, a four-wheel drive vehicle is your only chance of getting around. Taxis are available, but not recommended, and public transport is scarce, so renting a car (in Bata) is the best option. Dugout canoes can transport you between the smaller islands. There are no mandatory vaccinations required to enter Equatorial Guinea, unless coming from a yellow fever region, in which case a certificate is required. Aside from being up-to-date on all routine vaccines, recommended vaccines include hepatitis A, typhoid, rabies and anti-malaria medication.